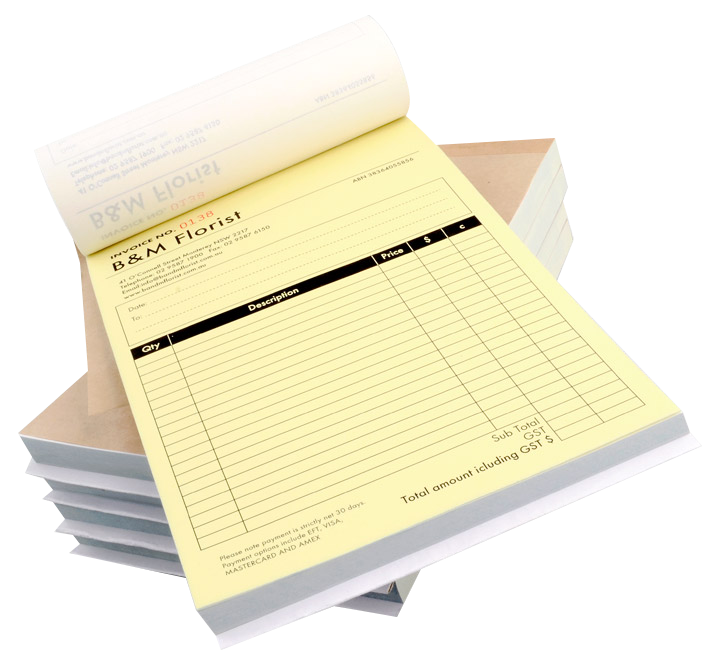 Agility Print produces all types of carbonless invoice receipt books. Carbonless (NCR) form printing including purchase order books, receipt books, cash receipt books, quote books, docket books, carbonless books, customised invoice books, personalised invoice books, invoice business forms, receipt forms, duplicate and triplicate books etc., all with carbonless printing. What are carbonless forms used for? 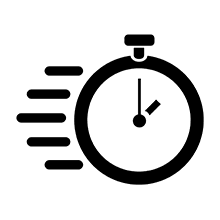 NCR forms have a myriad of uses with some of the most common being carbonless invoice receipt books, statements, purchase orders, contracts, work orders, applications and receipts where multiple copies are needed for customers, sales people, accounting, agents, mechanics, workers, etc. often in the field. 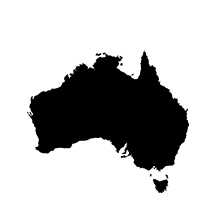 Standard Australian sizes for NCR forms are A5 (148x210mm), A4 (210×297) and DL (99x210mm) – although custom sizes can be ordered to meet your specific need. The design orientation can be either vertical or horizontal. Carbonless invoice receipt books can be printed on one side or two. Typically the front side includes the company logo and contact information as well as the form. The back side can be used for legal mumbo-jumbo or detailed instructions. NCR forms can be printed in a variety of ink formats from black only to full-colour, or even with custom PMS or spot colours to match your corporate branding. You can specify different ink options for the front and the back of the form. Carbonless invoice receipt books can be ordered loose, padded, or bound into a booklet, a common practice for invoices or receipts. NCR forms can also be padded in sets of 25, 50 or 100 and come with a chip board backing. NCR booklets for receipt forms and invoice forms are very handy as a copy of the form can be easily torn from the booklet and given to the customer, while leaving a master in the booklet for the business. Pages are optionally perforated for easy removal. A sturdy cover wrap maintains the booklet’s integrity and can be inserted between forms to prevent transfer when completing the form. Eliminate logistics. We can print, package and despatch your printing to one or 1000 locations. Perfect for large multi-location corporate organisations. We’re proud to offer a wide range of environmentally friendly options including FSC Certified stock. Print your business materials sustainably.